In case you’ve forgot we’ve set a few attendance records over the past few years. For the USL we’ve set the highest single-game, play-off game, and total attendance records, and we’ve done it multiple times. We had the highest ever attended soccer match in the state of Ohio when we played Crystal Palace in our first international friendly. When the US Women’s team came last year we had the highest attendance for a friendly in Ohio. We’ve set about every record we can attendance wise, but there’s a whole other league we have yet to conquer. That league is the National Women’s Soccer League. Today’s Attendance: 23,535, another attendance record for the City of Cincinnati. We’ve seen these headlines before but we can see them again. Here’s where I make the case for FC Cincinnati to start an NWSL team. The biggest reason I want to see a Lady Lions (that’s what I’m calling them) team is to see the best athletes play in person each week. If we have an MLS team, we’ll get to see some of the best soccer players play, you see a few world cup players and if you’re lucky you get to see a world cup winner like Bastian Schweinstiger (I’ll never forget him shushing the Bailey). But when you watch an NWSL game you get to watch the best women’s players in the world. Most of the USWNT players play here in the NWSL. That’s right we can watch the current World Cup winners play each and every week. How many different areas can we have Cincinnati try and win a trophy? Another reason I want a Cincinnati NWSL team is because of the wealth of local women’s talent. Just for example Cincinnati is home to Heather Mitts and Rose Lavelle. Heather Mitts is three time Olympic gold medalist and Women’s World Cup silver medalist. And while Rose is new to the USWNT she has a bright future ahead of her. Watch out for her in France 2019. Cincinnati has a large number of youth soccer players, some high level youth clubs, and we have the Cincinnati Development Academy which is a partnership with US Soccer and is a direct pathway for girls to reach the Youth National Teams. What better way to capitalize on all the local talent than by starting a professional team where these girls can play professionally. Reason three, I want to be able to see the USWNT play here in Cincinnati more often. Yes, we’ve seen the women play at Nippert and yes they have played at Paul Brown before, but I want to see the USWNT play in a stadium built for soccer. When we have a soccer-specific stadium we can have a true place for the women to come and play. We all know the men have Columbus vs. Mexico (Dos a Cero) and Orlando is quickly becoming a stronghold as well. Imagine Cincinnati being that fortress for the USWNT. While having a women’s team isn’t needed to bring the USWNT I’m sure it would be hard for US Soccer to pass up a brand new stadium with the real grass and real fans. That brings me to my last point, the fans. We already pack the stadium for the men, we’ve set all the attendance records. Let’s do it for the NWSL. Let’s be the Portland of the Midwest. 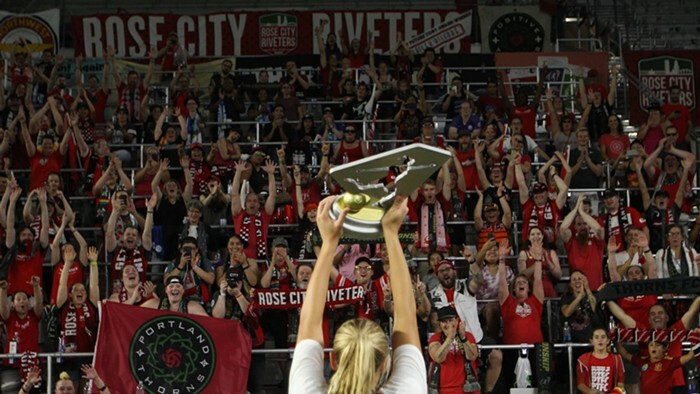 Portland is known for their rabid fans, the Timber Army, but did you know they also pack the stadium for their women’s team, the Thorns as well? In many ways the NWSL is similar to the USL, at least attendance wise. Looking up Wikipedia you can see the league averages about 5,000 people a match. But when you look at the individual teams, Portland averaged 17,000 last year. We can be the next Portland. I would love to see a NWSL team come to Cincinnati, I want to see the best players in the world play each week. I want to see the local girls have a place to play when they grow up. I want to see more soccer here in Cincinnati. It may not happen next year or the year after that but I hope we see a women’s team here in Cincinnati in the next five years.